This can be reached from the road running from Ballingeary to Top of Coom. 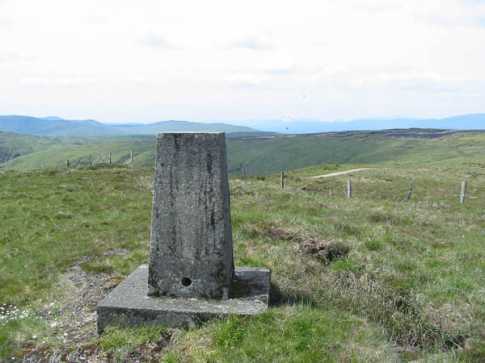 There is a wide track which runs up to the summit triangulation post and then continues around the head of the vallley and along the county bounds. 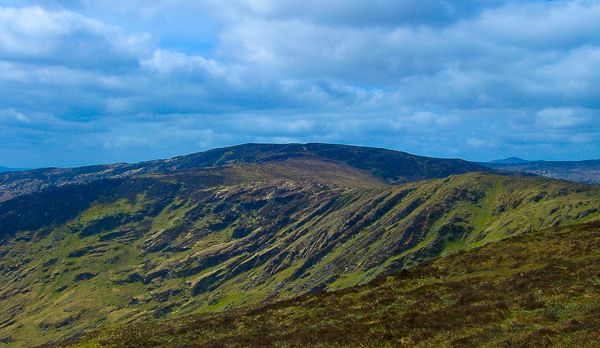 It would be possible to walk along the ridge to Gougane Barra. Combined Mweelin with Carrigalougha, after an afternoon in Kenmare avoiding heavy down pours. Needless to say after 5 mins, starting the route posted by John Desmond, I and my wife were soaked to the skin with the only views available being that of our boots, as we tramped up the track!